If asked to name the color of death and mourning, Europeans will choose black; whereas Asians and many other races will pick white. Black signifies darkness and the absence of light. 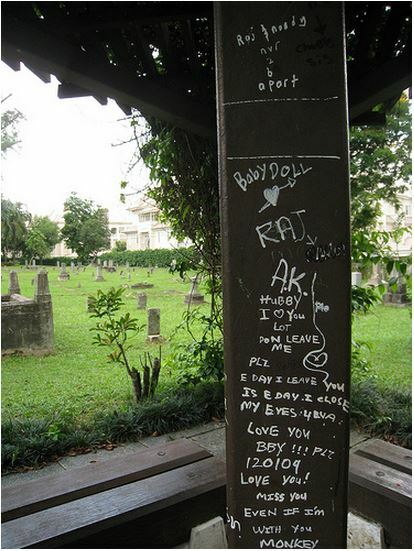 However, you will often find white tombstones in European cemeteries. 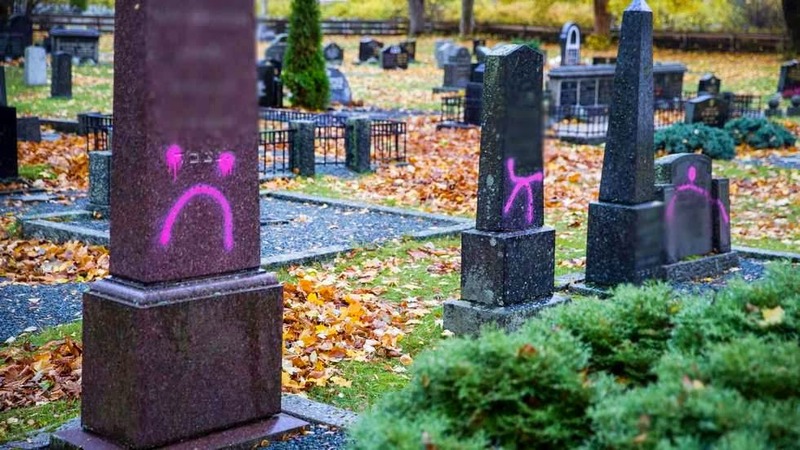 At the Mollendal graveyard in Bergen, Norway, a private company was hired by the municipality to maintain the cemetery. 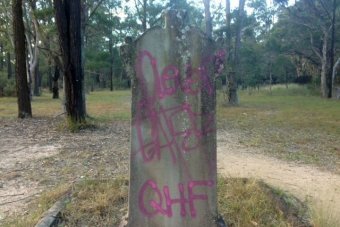 In 2013, a notice pinned to hundreds of headstones informed families of the deceased that maintenance fees were due. (The Norwegian municipal government covers the costs of maintenance and rental for 25 years, thereafter it falls upon the families to pay the annual fee.) 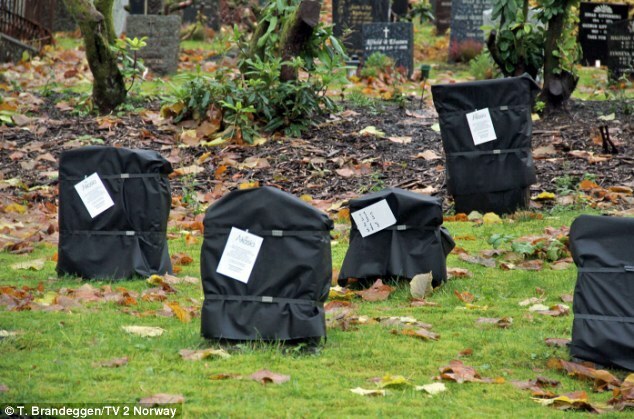 After 6 months, the headstone was then covered with a locked black plastic bag with a further notice identifying that the stone will be removed unless payment is made for the upkeep of the grave. 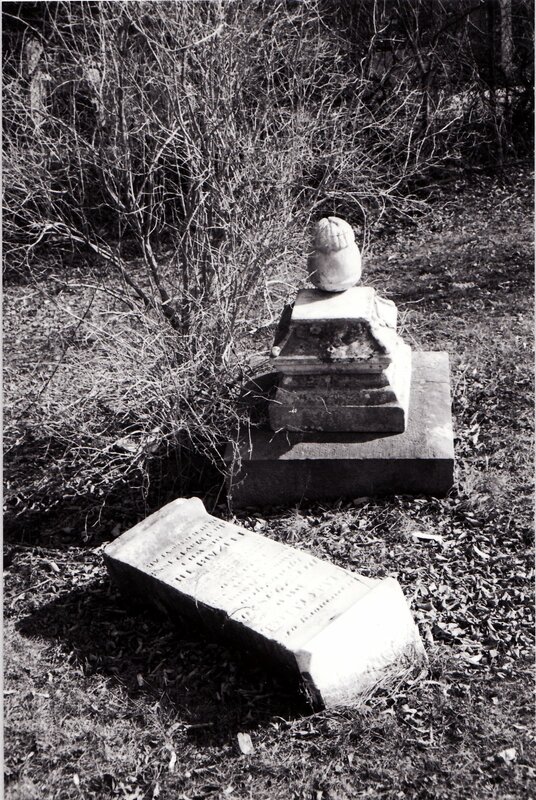 Failure to make payment results in removal of the headstone and the interred in order to reuse the plot. White recalls the color of the bones and the paleness of the corpse. 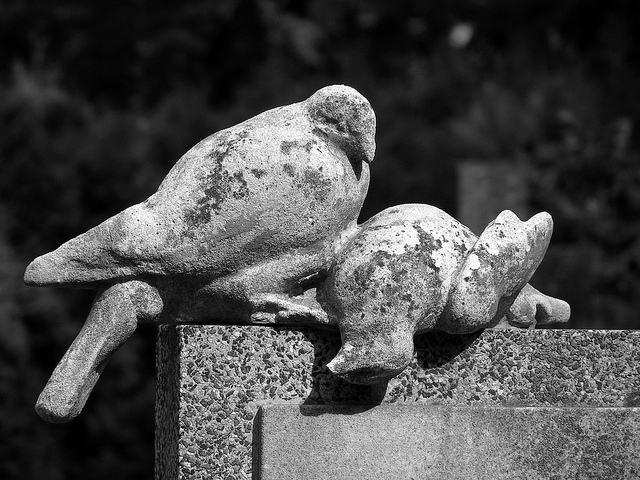 White doves also appear as motifs in the European sepulchral arts. 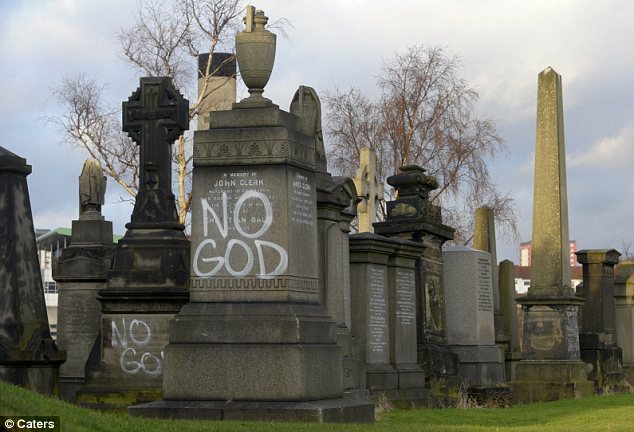 Catholics and High-Church Anglicans recognize purple as the color of mourning. Priests wear purple or violet robes at funeral masses for the dead, recalling Christ’s passion, crucifixion, and resurrection. 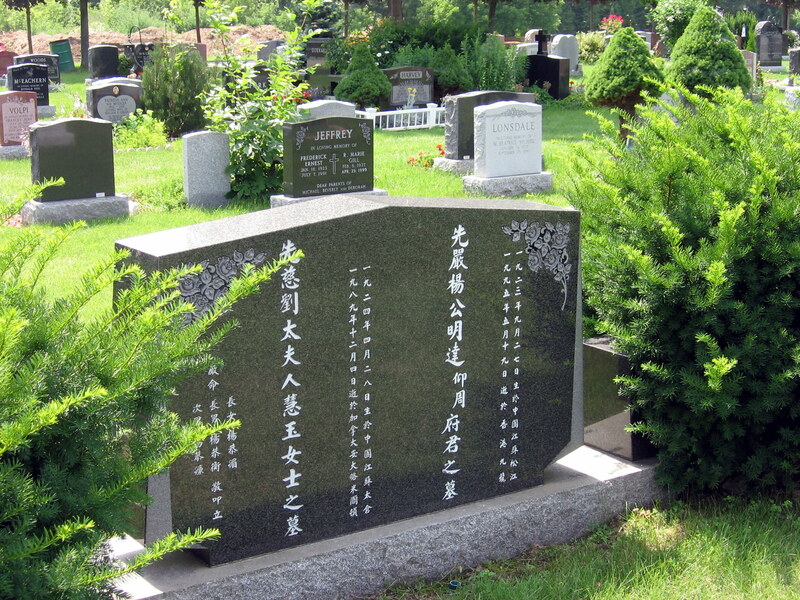 Chinese tombstones often appear before the deceased has passed. 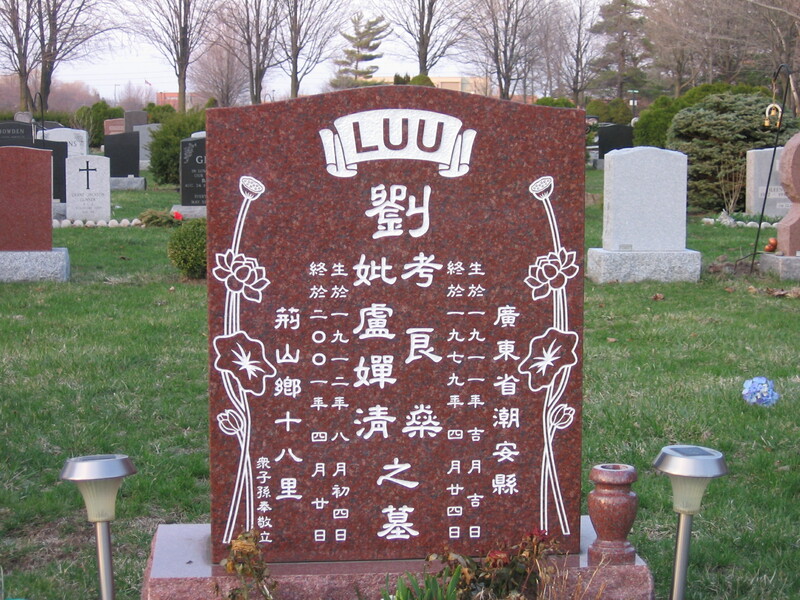 Red lettering shows that the person named is still alive. 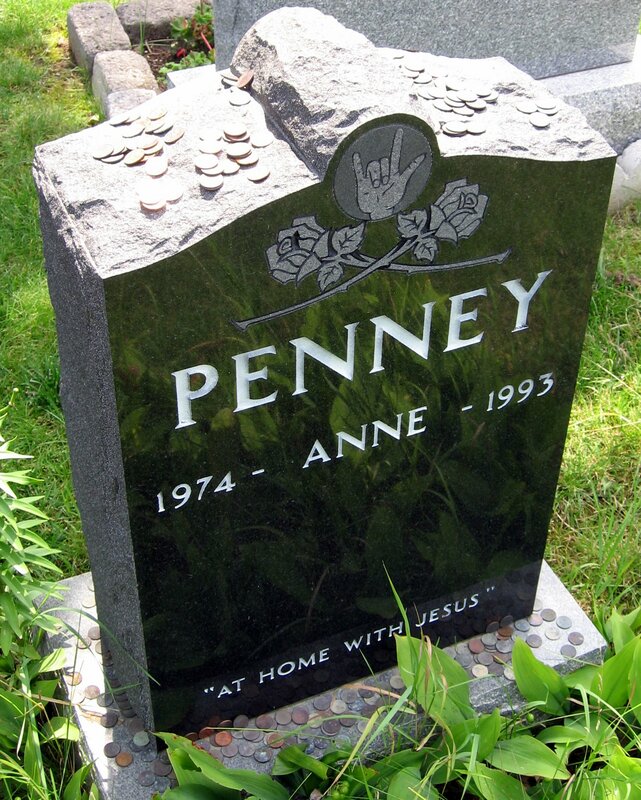 When the person dies, the stone cutter repaints the letters in white. Throughout the centuries whenever humans went into battle, they did so with the assistance of their trusty steed, the horse. 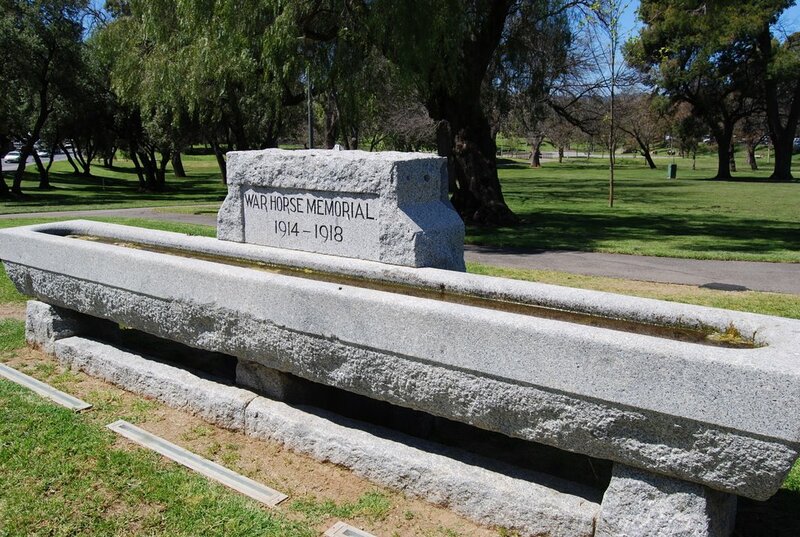 Thousands of horses were transported to assist in the Boer War and World War I. Used for transportation, horses were imperative to the conflict. They moved soldiers, equipment, supplies in the form of food and weaponry, and acted as ambulances in the transportation of wounded soldiers. Horses were trained not to panic or flee at sudden noises and were sometimes taught to bite and kick, thus becoming a weapon in their own right. 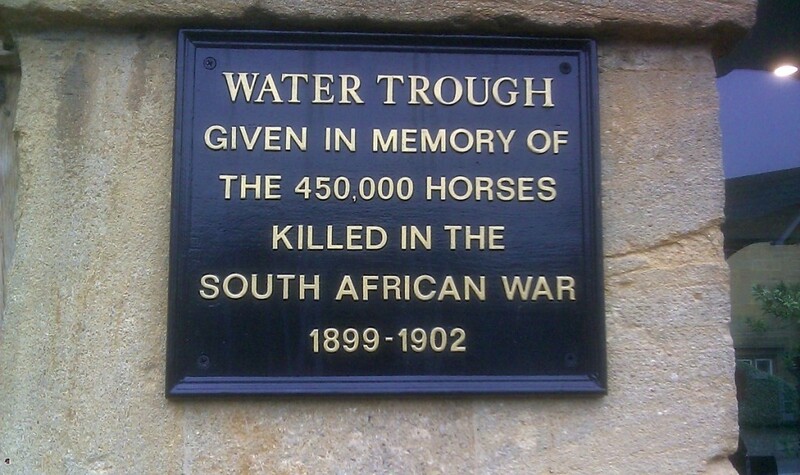 Conveying horses overseas was a dangerous proposition for the horse during the Boer War. 16,000 died during the voyage from South America to South Africa. Under the hardship of little rest, weight overload, and with little veterinary care, a huge percentage died from exhaustion, battle wounds and disease. And when life was especially harsh on the battlefield with a depleted food supply horses were sometimes slaughtered for meat to nourish soldiers. 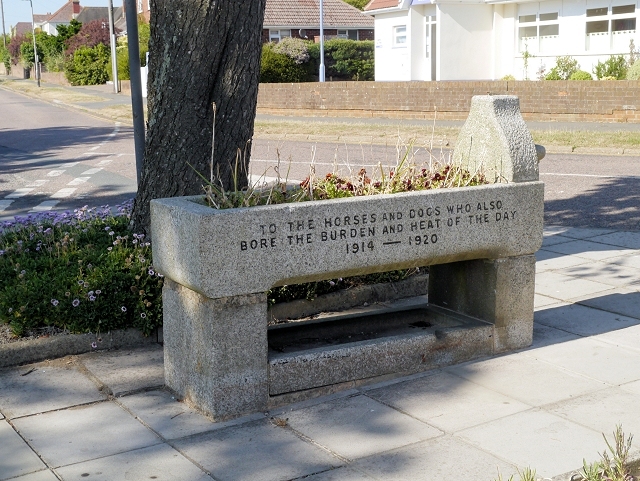 A Horse trough made of Harcourt Victorian granite commemorates horses which took part in World War I. It weighs 8 tons and is 16 feet in length. 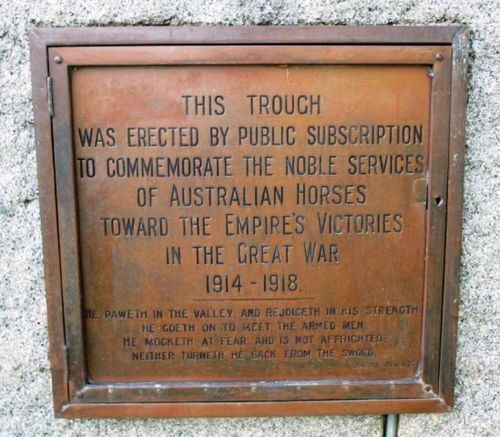 Australian soldiers had a great regard and affection for their horses, and were upset that at the end of the war, cost and quarantine concerns meant that horses could not be brought back to Australia. 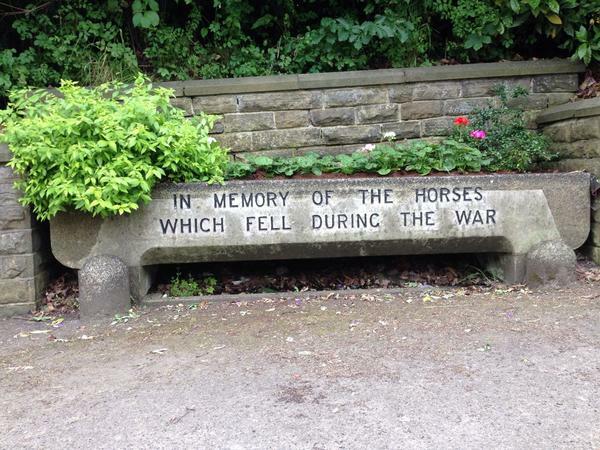 Provided by the Batley Horse Society. 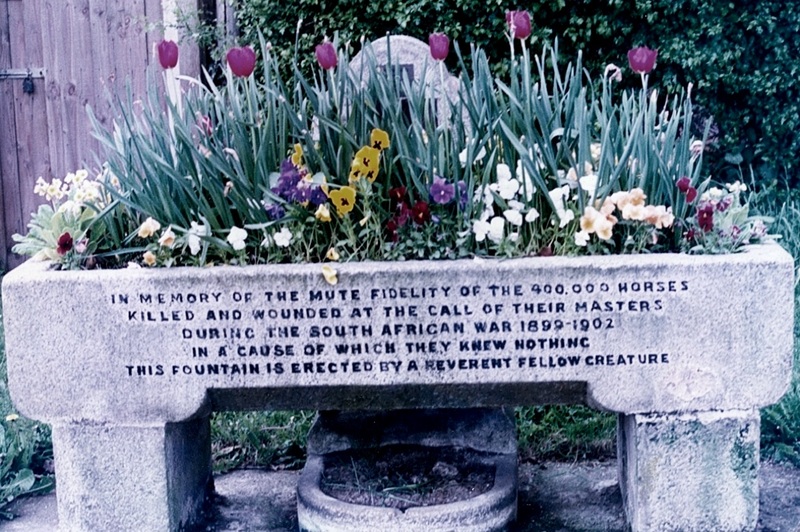 William Tebb commissioned a drinking fountain in Burstow to commemorate 400,000 horses killed and wounded during the Boer War, to which he was strongly opposed. 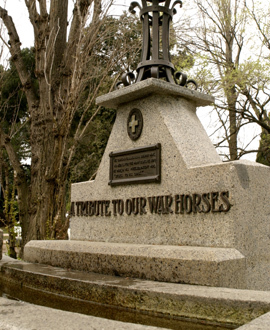 Animals who were companions and early warning systems in Australia’s armed forces, have been honoured with the statue of a bronze horse head, mounted on a tear-shaped granite plinth. 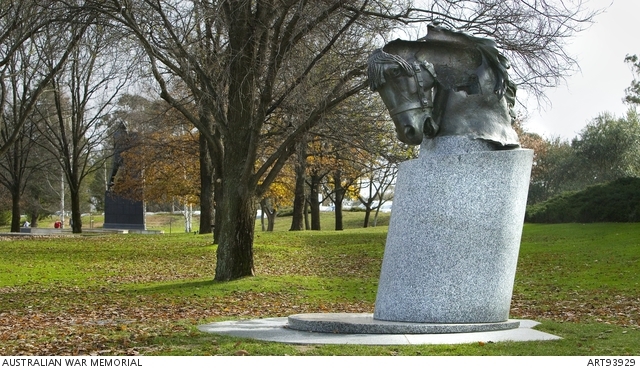 Commissioned by the Australian War Memorial it is located in the memorial’s sculpture garden. 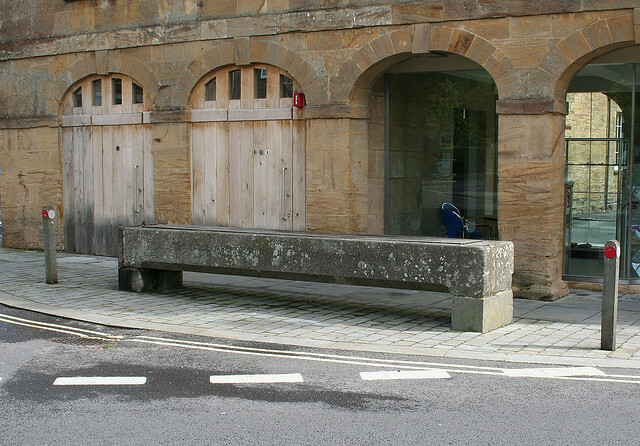 Constructed in Portland stone and cast bronze, this monumental memorial is 58ft (17.68m) wide and 55ft (16.76m) deep, and is comprised of three elements. The arena: Two heavily laden bronze mules struggle to approach a flight of steps leading through a wall. The wall, arena side: on the left side of the steps, a bas-relief depicts images of many different animals used and lost in 20th century conflicts. 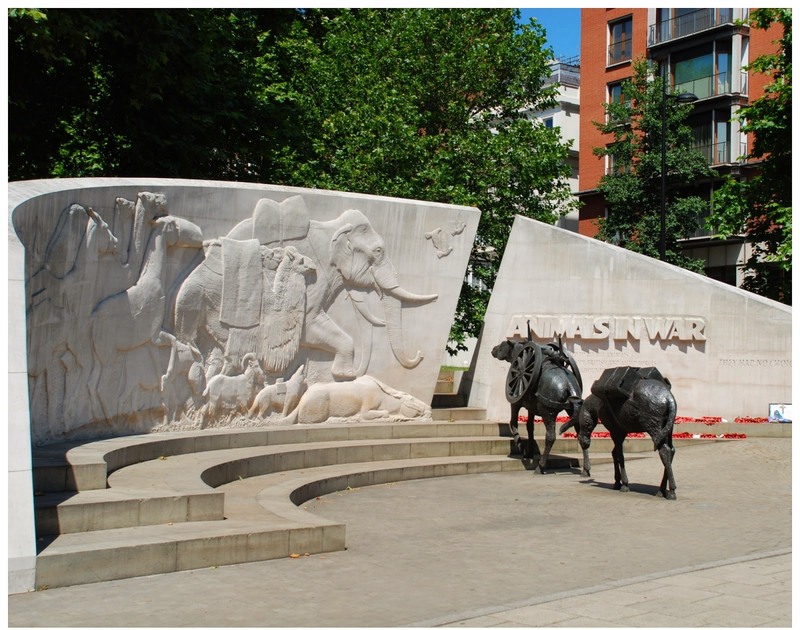 On the right is an engraving: Animals In War / This Monument Is Dedicated To All The Animals / That Served And Died Alongside British And Allied Forces / In Wars And Campaigns Throughout Time / They had No Choice. 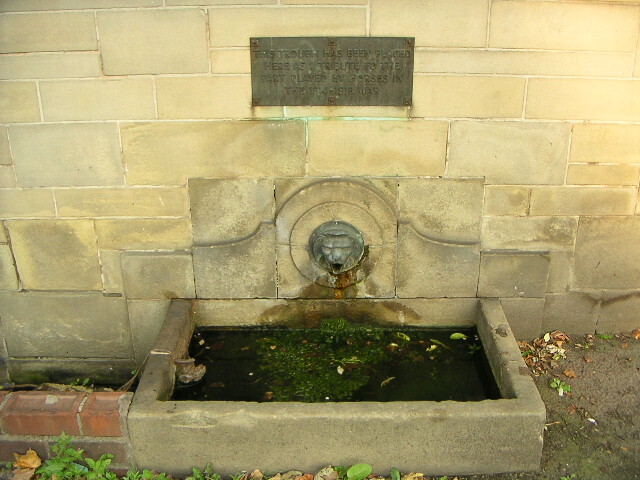 On the rear left of the wall is a chiseled engraving: Many / And Various / Animals Were Employed / To Support British And Allied Forces / In Wars And Campaigns Over The Centuries / And As A Result Millions Died – From The Pigeon To The / Elephant They All Played A Vital Role In Every Region Of The World / In The Cause Of Human Freedom. Their Contribution Must Never Be Forgotten. 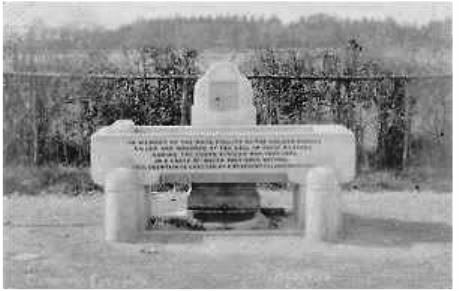 There is also a dedication stating that the memorial was unveiled on 24th November 2004, and an engraved list with names of benefactors. 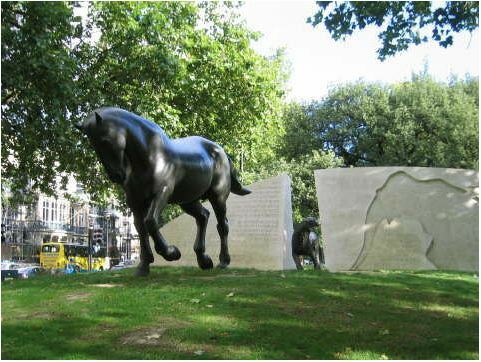 On the grass to the rear are statues of a bronze horse and dog in motion. 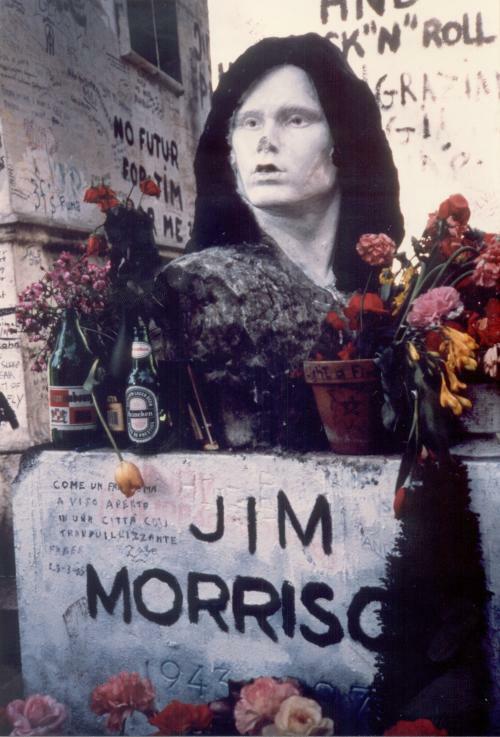 The names of the designer and sculptor are engraved on the wall to the right. 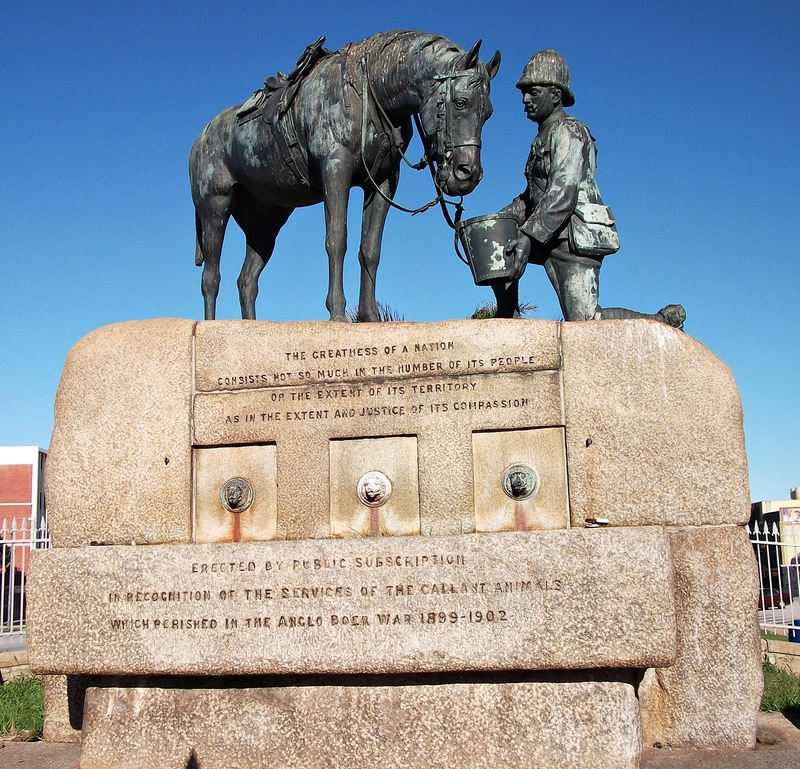 This memorial horse trough commemorates the Light Horse Brigade and the services and suffering of animals in war. 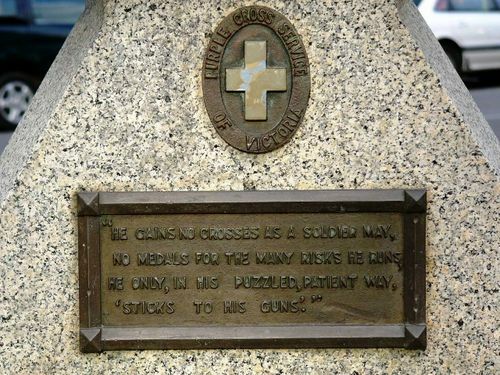 The inscription reads: He Gains No Crosses As A Soldier May / No Medals For The Many Risks He Runs / He Only, In His Puzzled, Patient Way / Sticks To His Guns. 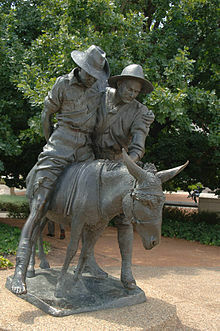 This memorial statue depicts a donkey carrying a wounded soldier from the battlefield. John Simpson, a famed stretcher bearer with the Australian and New Zealand Army Corps, offers assistance as he walks alongside. Simpson became famous due to his heroic efforts during enemy fire to remove injured soldiers from the battlefield to an evacuation point on the beach. He was killed three weeks after his arrival during one of his perilous trips from the battlefield. 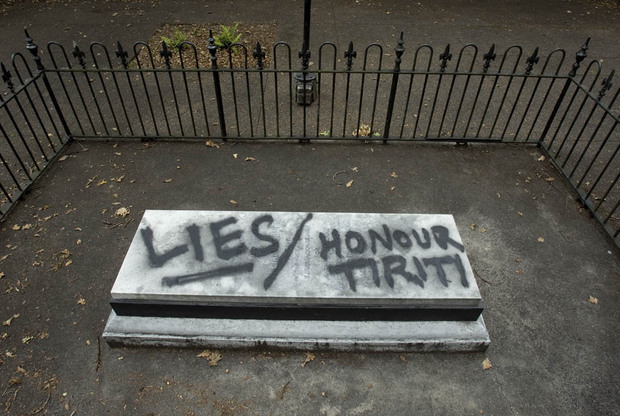 This memorial bears the words: The Greatness Of A Nation / Consists Not So Much In The Number Of Its People / Or The Extent Of Its Territory / As In The Extent And Justice Of Its Compassion. 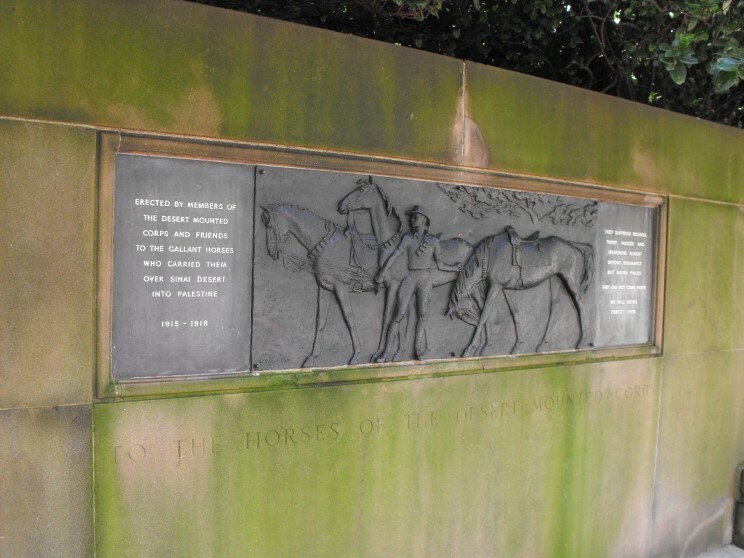 A memorial showing a bas-relief of a soldier with three horses. 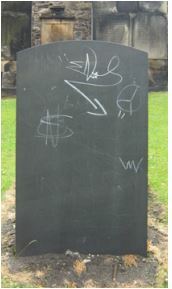 The sculpture is flanked with dedications. 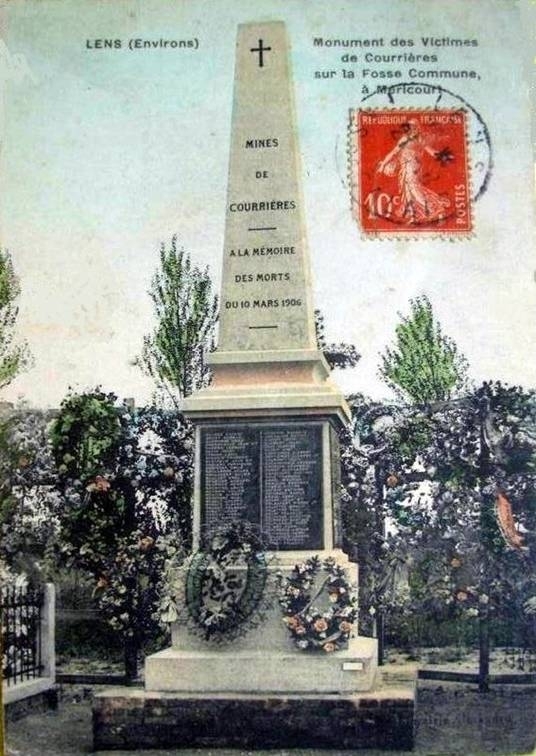 On the left: Erected By Members Of / The Desert Mounted / Corps And Friends / To The Gallant Horses / Who Carried Them / Over Sinai Desert / Into Palestine / 1915-1918. On the right: They Suffered Wounds / Thirst, Hunger And / Weariness Almost / Beyond Endurance / But Never Failed / They Did Not Come Home / We Will Never Forget Them. 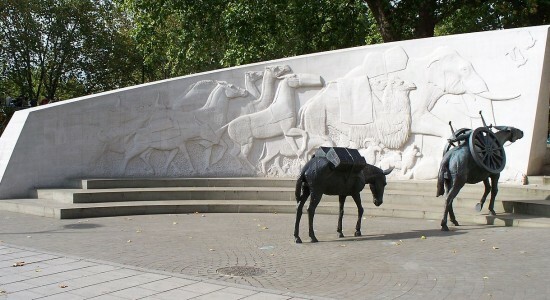 Below the sculpture and engraved panels is a dedication etched into stone: To the Horses of the Australian Desert Mounted Corps. These horses were not returned to Australia after the War due to strict Australian Quarantine regulations. On 21 October 1966 in the Welsh village of Aberfan people were going about their business until a sudden thunderous noise alerted them to the collapse of the colliery tip caused by a build-up of water in the accumulated rock and shale. Over 40,000 cubic metres of debris suddenly slid downhill and engulfed the Pantglas Junior School and about 20 houses in the village before coming to rest. Rescue efforts, which were hampered by more debris coming down the mountain, lasted for a week.The catastrophe claimed the lives of 116 children and 28 adults who died from impact or suffocation. The official inquiry blamed the National Coal Board for extreme negligence, and parliament passed new legislation about public safety in relation to mines and quarries. 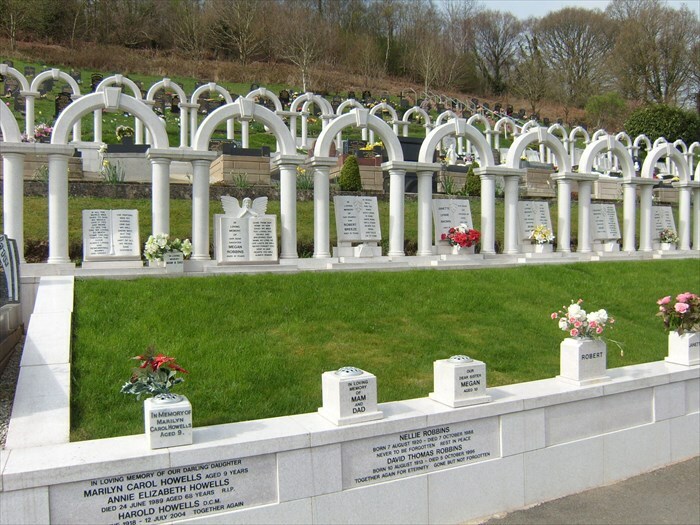 Stone memorials were erected in Aberfan Cemetery for the majority of the victims after the disaster. The worst coal mining disaster in history occurred on 26 April 1942 in the coal mine, located near Benxi in the Liaoning province of China. It was caused by a mixture of gas and coal dust which created a fatal explosion underground shooting fire out of the mine shaft entrance. To deprive the fire of oxygen, the ventilation system was shut off and the pit head was sealed. An electric fence was erected around the pit to prevent relatives of the miners from entering. The catastrophe claimed 1,549 lives. It took workers ten days to remove all the corpses and rubble from the shaft. 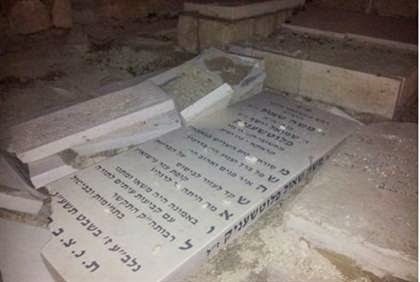 The dead were buried in a mass grave nearby. 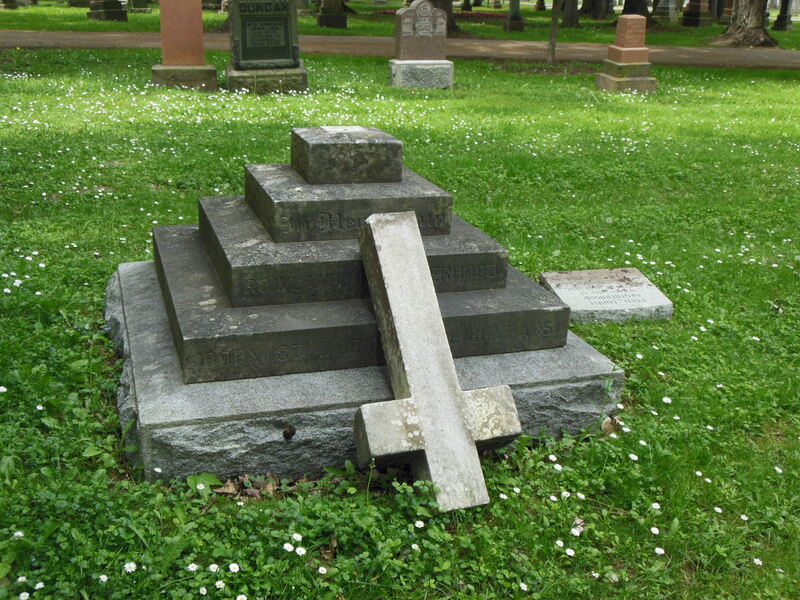 Later, the Japanese erected a monument to the dead which stated the number of dead to be 1327. The second deadliest coal mining disaster in history occurred in France. 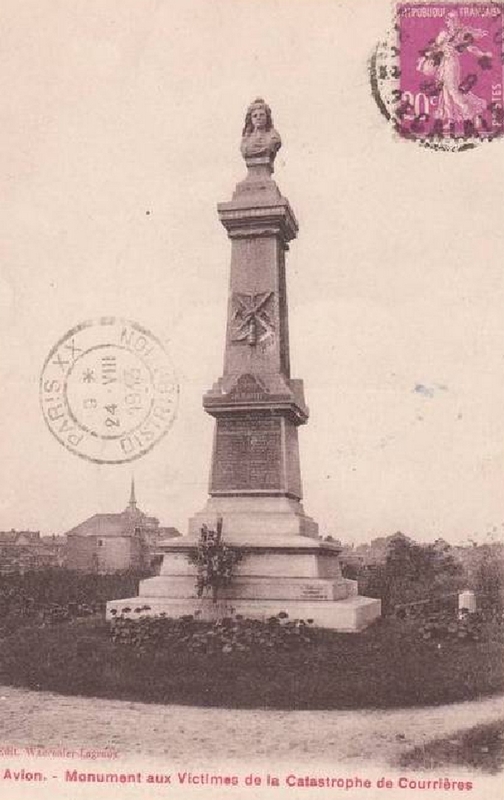 The catastrophe occurred on 10 March 1906 due to a massive explosion sparked by an underground fire in one of the pits of the Courrieres Colliery. The underground fire was detected the day before the explosion and ground openings were closed to starve the fire of oxygen. The following morning a huge underground explosion caused a blast on the surface that killed 1,099 comprised of miners as well as people on the surface. The disaster led to strikes demonstrating against the mining company who continued to operate when the fire had been discovered, and the managers who stop searching for survivors after only three days. 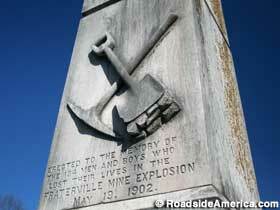 On May 19, 1902 at 7:30am near Fraterville, Tennessee, an oil lamp sparked a methane explosion which killed 216 men (until that point there had been a total of 219 men in the town.) Hundreds of women were widowed, and approximately a thousand children were left fatherless. A large monument containing the names of 184 identified miners killed in the explosion is encircled by concentric circles of 89 graves. 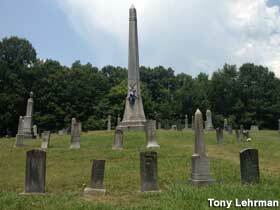 It is known as the Fraterville Miners’ Circle and is located at Leach Cemetery in the nearby town of Coal Creek. The bodies of 30 unidentified miners were buried in a mass grave not far from the mine. 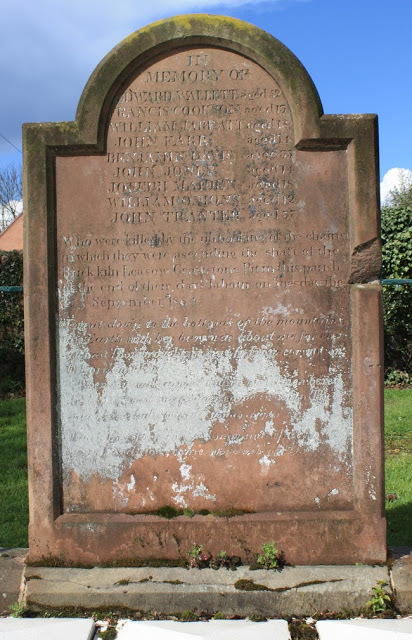 It is marked with a historical plaque on Slatestone Road in Briceville. 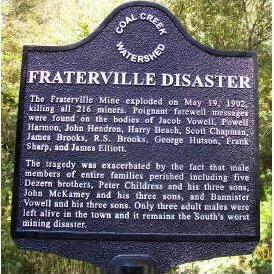 Route 116 which connects Fraterville and Briceville has been renamed “Fraterville Miners Memorial Highway” in honor of the victims of the mine explosion. 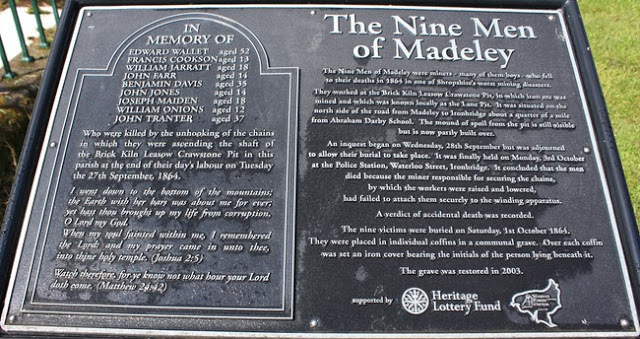 Nine miners were killed when the chain attached to the winding apparatus gave away during their ascension from the Lane Pit. 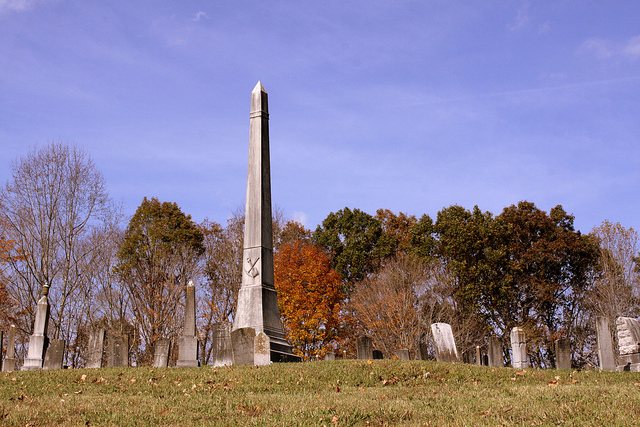 They died at the end of their shift on 27 September 1864. 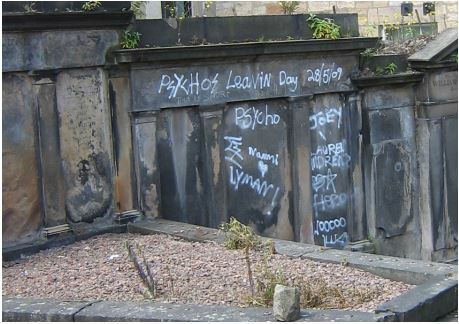 Four of the dead were boys under the age of 16. 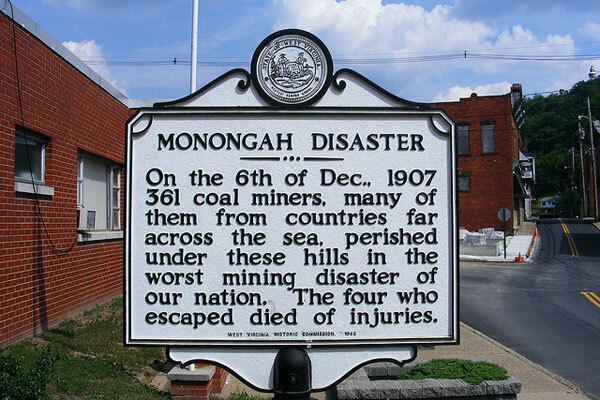 The Monongah Coal Mine Disaster which occurred on 6 December 1907 was caused by a firedamp and coal dust explosion in two mines at the Monogah mine facility operated by Fairmont Coal Company. The explosion devastated the ventilation system, boiler-house, fan and the openings of an additional mine. 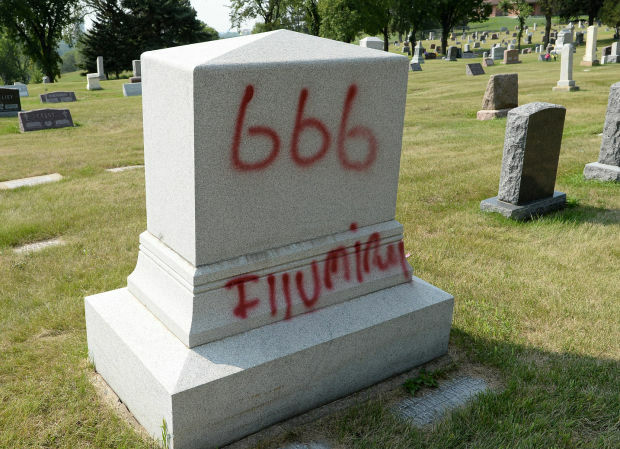 Italian immigrants were the majority of the 362 victims. 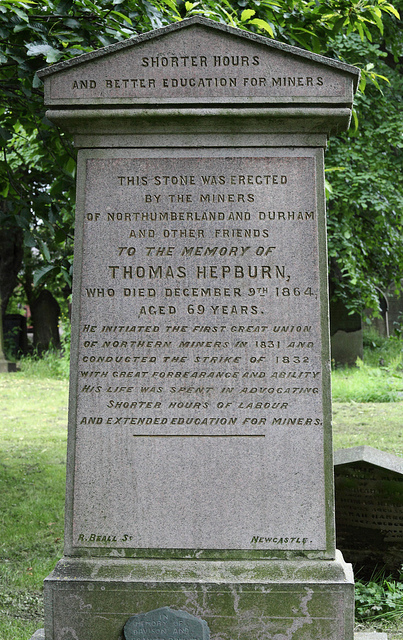 A memorial to Thomas Hepburn, miners’ champion and trade union leader. He worked as a minor from the age of 8 and later intiated the first great union of Northern Miners in 1831 and conducted the strike of 1832. With great forbearance and ability his life was spent in advocating shorter hours of labour and extended education for miners. 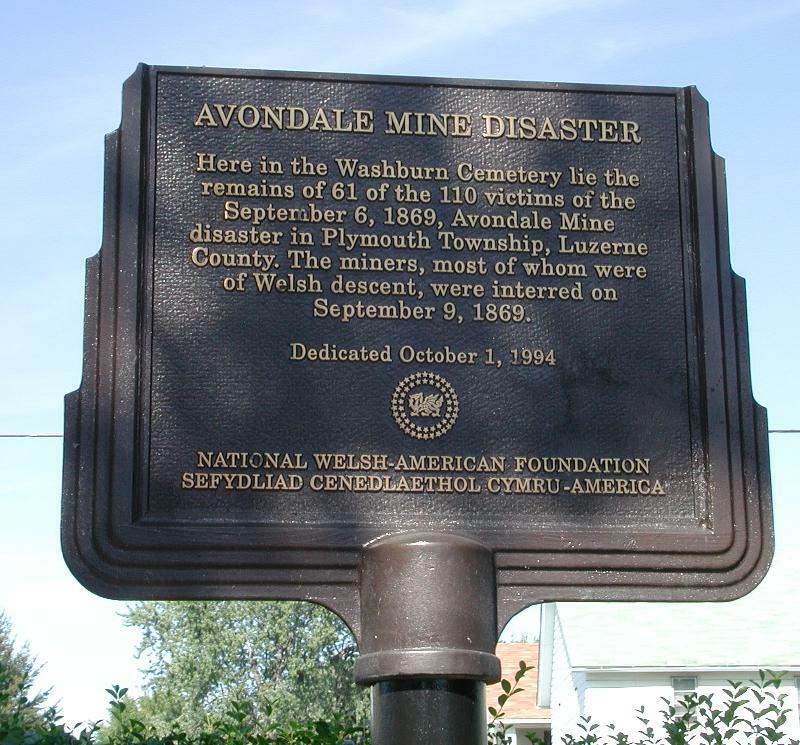 On September 6, 1869, a massive fire at the Avondale Colliery started when the wooden lining of the mine shaft caught fire and ignited the coal processing plant built directly overhead. The fire trapped and suffocated 108 of the workers. Two rescuers also died bringing the death toll to 110. The Hulton Colliery, known locally as Pretoria Pit, employed 2500 local men and boys, many from the same family. The day before the disaster occurred, a large fall of roof caused a build-up of gas and miners had complained of gas in the mine and also sparking on a conveyor switch. On 21st of December 1910, 900 men clocked on for the morning shift. 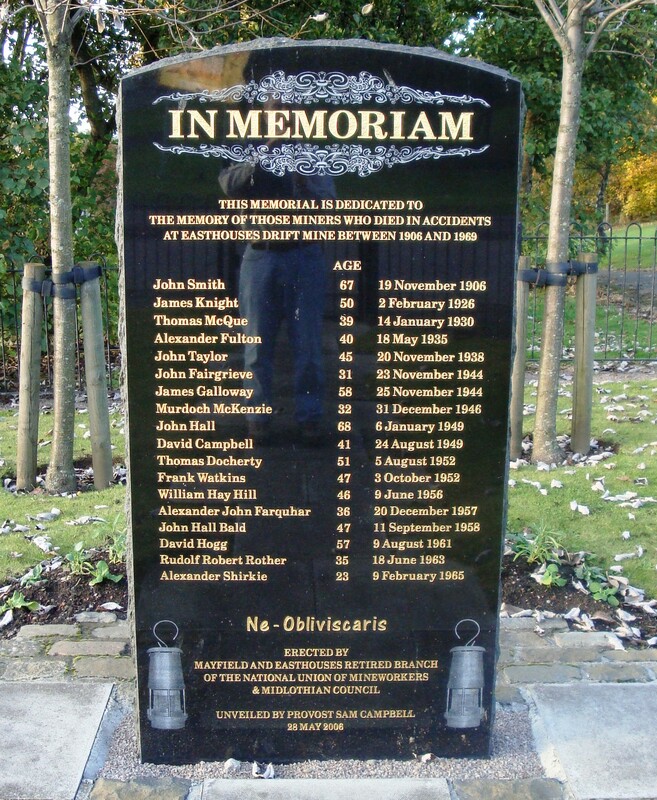 A tremendous explosion that travelled a mile underground killed 344 men and boys who were comprised of miners and colliery employees. A national pit strike in 1984 drew miners from around the country to the picket lines. 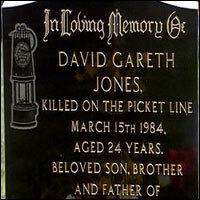 David Jones, a Wakefield miner, was picketing at Ollerton colliery when he was hit by a brick on March 15th 1984. He died from chest injuries several hours later. 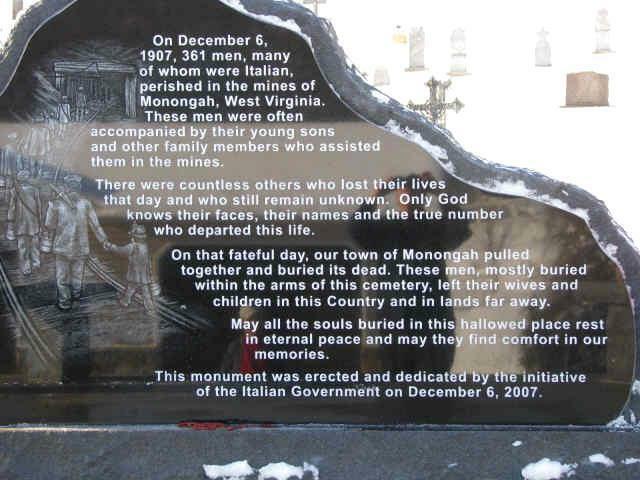 The Upper Big Branch Mine disaster occurred on April 5, 2010 as a result of a high methane levels causing a coal dust explosion in Montcoal, West Virginia. 29 men were killed. 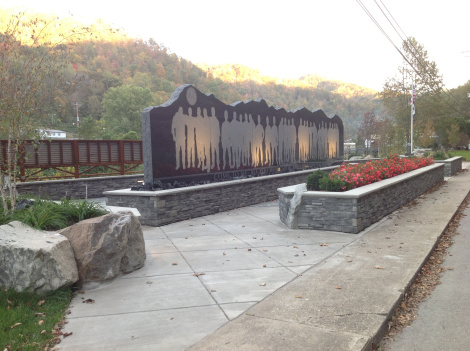 The Upper Big Branch Miners Memorial in Whitesville, WV which was dedicated in 2012 consists of a 48-foot black granite monument with life-size etched silhouettes of twenty-nine miners. 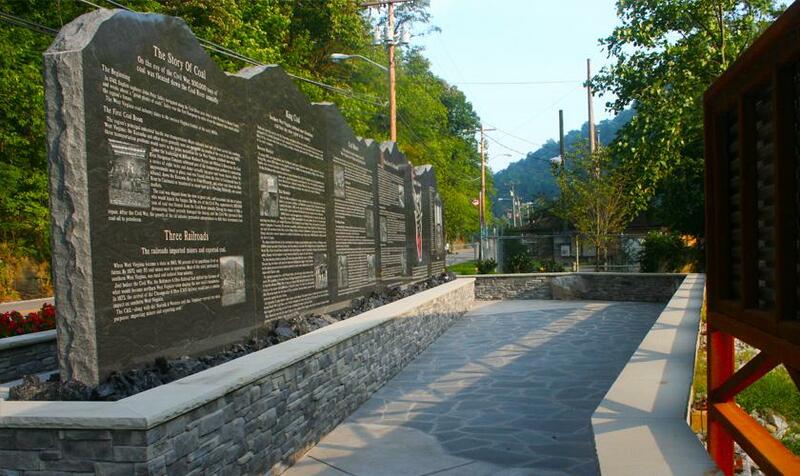 The names of all twenty-nine miners killed and the two survivors are listed on the reverse side of the monument which also gives a brief summary of the coal industry in West Virginia. 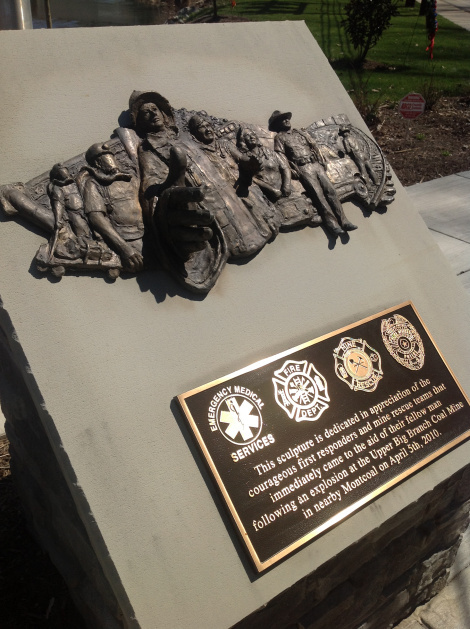 The memorial also includes a bronze sculpture and plaque recognizing the local first responders and mine rescue teams from West Virginia and neighboring states that aided in recovery efforts. His head was bent and low. The way that he should go. And softly tolled the bell.